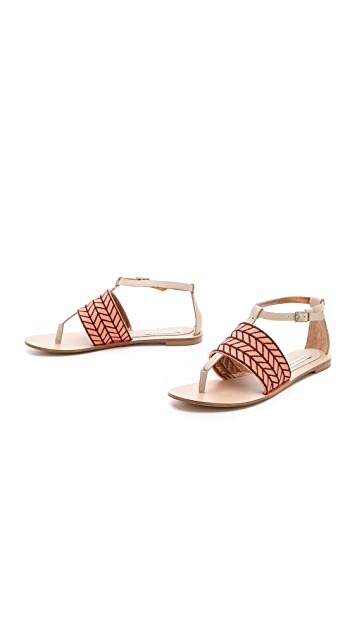 Herringbone embroidery adds a graphic touch to a pair of playful sandals, rendered in canvas and leather. 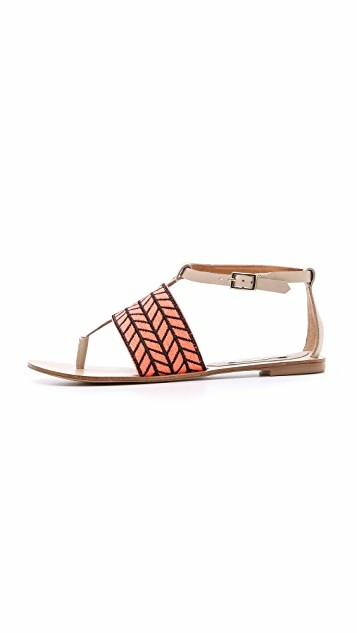 A sleek panel cups the heel, and a slim strap buckles at the ankle. Rubber sole.